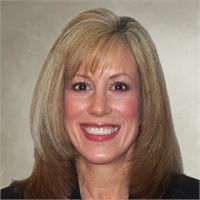 Melissa Reider has been a professional in the securities industry for over 30 years. After studying at University of Cincinnati/Conservatory of Music, she began her financial career at the prestigious firm, EF Hutton, where she managed individual and retirement investment accounts. Her area of specialty is helping individuals and families understand the complicated investment industry and focus on their financial goals. She helps clients reach their objectives through investment planning and asset allocation strategies for pre-retirement and during retirement. She follows a disciplined investment management process and creates customized strategies with continual monitoring and regular reviews to ensure that the investments are consistent with any change in the client’s situation or needs. Ms. Reider is licensed to sell life and health insurance as well as annuities in the State of Ohio. She is a Registered Representative and a General Securities Principal (Series 7, Series 24) and Investment Adviser Representative through Cetera Advisor Networks LLC, a broker-dealer, and a registered investment adviser. She is also an Investment Adviser Representative of Financial Management Strategies, Inc., a registered investment adviser.